17-year-old Chloe Kim is expected to become one of the next great American Olympic stars. 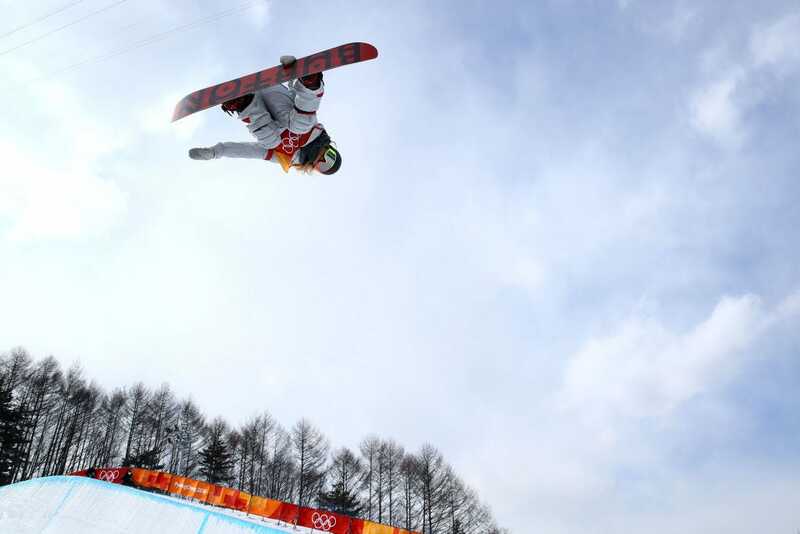 She is a heavy favourite to win gold in the ladies’ halfpipe. Despite all the pressure of Kim’s first Olympics, she simply wanted some ice cream in the middle of her first event. 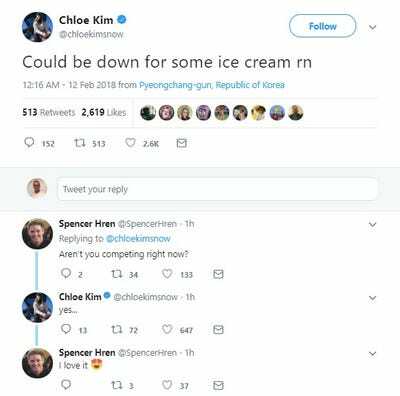 There is a lot of pressure on American snowboarder Chloe Kim, who at 17 years old, is a heavy favourite to win gold in the ladies’ halfpipe, and is expected to be one of the next American Olympic stars. But if you thought Kim might be a little nervous during her first Olympic event, guess again. Kim ran the first of her two qualifying runs on Monday, scoring a 91.50, nearly four points better than any of the other competitors. 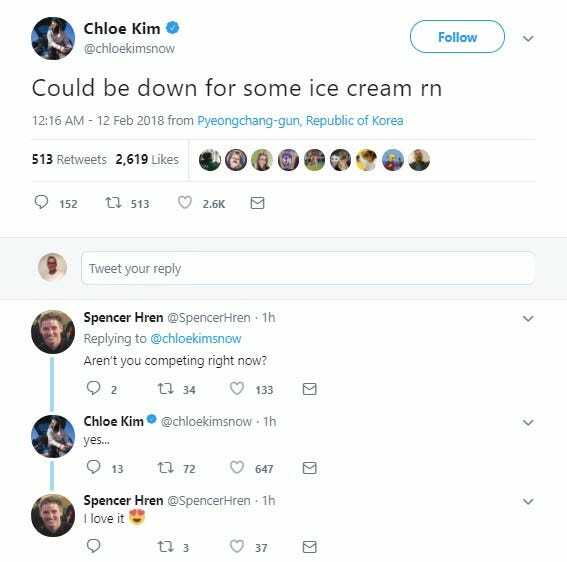 Moments later, she showed just how cool of a competitor she really is, sending out a tweet in the middle of the competition simply saying she could go for some ice cream. A short while later, Kim nailed her second run and scored a 95.50 to easily qualify as one of the 12 snowboarders who will advance to the final round. In the meantime, somebody get Kim some ice cream!